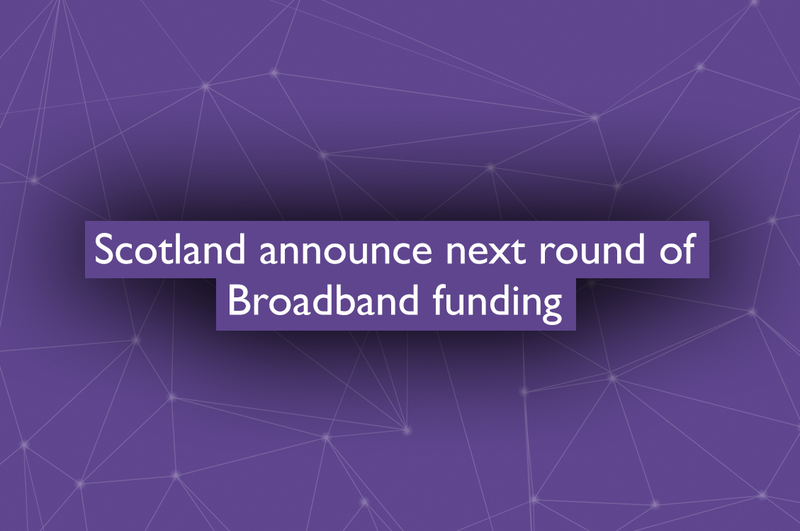 Having got to 93% coverage in the main round of SuperFast funding through Openreach, the Scottish have indicated who the likely bidders are for the next round of Broadband funding. The tendering process has been broken down into three lots and there have been some surprises as to who the likely bidders are. With £600m available for 180,000 properties the cash has flushed out some new players. While we might have expected Openreach and Gigaclear to bid (especially given recent funding announcements) the leaking of new bidders SSE Telecom and Axione by Clive Downing indicates there may be some real competition for these contracts. Openreach have obviously won up to £1.5bn of public money in the first rounds of contracts and Gigaclear have done very well in some of the smaller more specialist bids undertaken by English counties. They had originally said they were less interested in Scotland and Wales but maybe the size of the pot on offer has influenced their thinking? SSE have obviously got the “local” card to play but had been showing some interest in using existing power distribution infrastructure as a springboard for Broadband deployment. Axione are even more of a wild card. A subsidiary of the engineering firm Bouygues, they have built a reputation in France as an alternate fibre provider but have done relatively little in the UK. They have, however, been tracking developments and have obviously been waiting for the right time to step in.